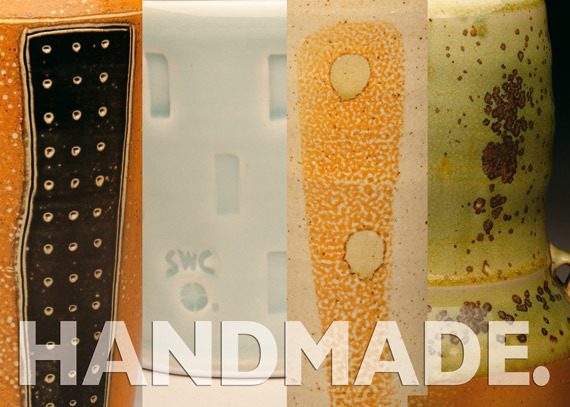 I've been a studio potter for over 20 years, making a wide range of functional pots that are intended for daily use. 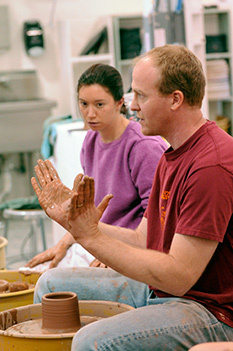 After a variety of stops for school and training, I settled in rural Indiana and set up my first studio, St. Earth Pottery, in 2000. I live with my wife and daughter in a renovated farmhouse, on a small hill surrounded by fields and woods. 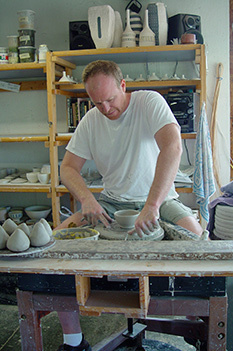 I make each pot myself, one at a time, using traditional craft techniques like throwing on the potter's wheel. 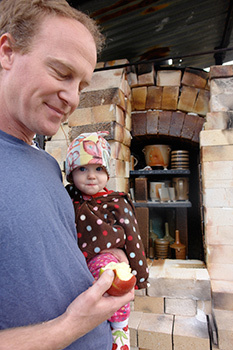 I strive to make pots that are well-crafted, beautiful, interesting and enjoyable to use. Striking a good balance between these qualities is difficult but satisfying; an open-ended quest. Most of my pots sell directly from my showroom to local customers, with the rest going via my website, regional galleries, and the occasional exhibition. I have two big studio sales per year and my showroom is open year-round by appointment. My work is on display and put to use daily in homes and kitchens around the world.